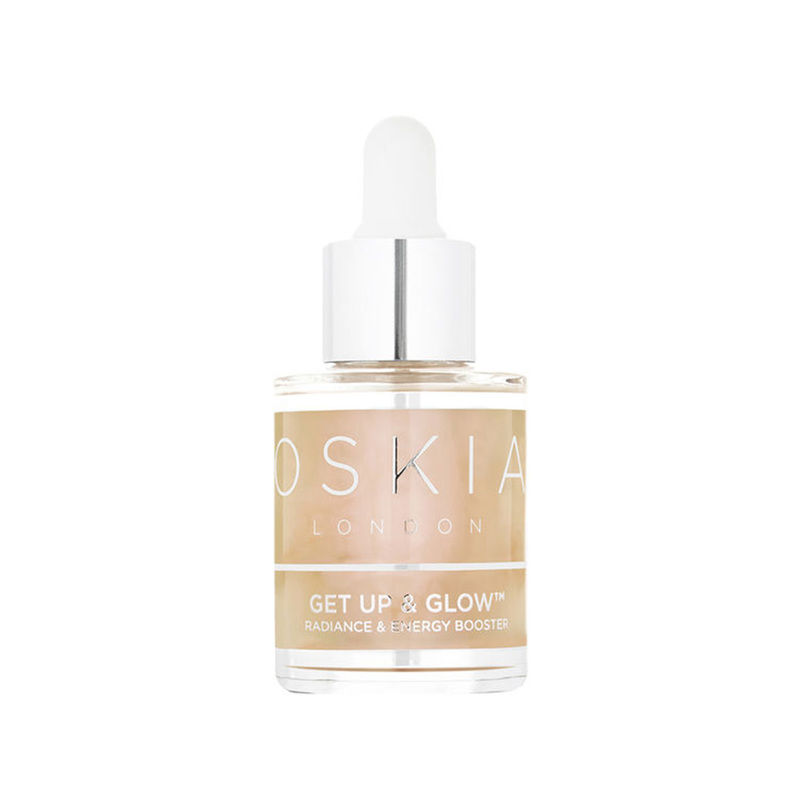 Oskia Get Up & Glow award-winning ‘best skin perfector’ is a deliciously lightweight revitalising and energising serum that increases cell respiration and skin energy. Oskia’s unique dual approach actively brightens and firms, evens skin tone, smoothes the appearance of fine lines and protects against everyday environmental, seasonal and lifestyle damage. Leaves skin looking revitalized, healthier and smoother with a youthful, radiant glow. Pump Oskia Get Up & Glow into a clean palm and apply gently to entire face and neck underneath your moisturizer. Ensure that the serum is fully massaged in before applying other products. Use as often as required alone or after moisturizer. AQUA (WATER), DIMETHYL SULFONE (MSM), GLYCERIN, SODIUM HYALURONATE, BENZYL ALCOHOL, WHEY PROTEIN, ZINC GLYCINE, RIBOSE, MALUS DOMESTICA FRUIT CELL CULTURE, SACCHAROMYCES FERMENT FILTRATE LYSATE, GALACTOARABINAN, PANTHENOL, BIOSACCHARIDE GUM-1, INULIN, ALPHA-GLUCAN OLIGOSACCHARIDE, PETASITES JAPONICUS (BUTTERBUR) ROOT EXTRACT, PARFUM (NATURAL FRAGRANCE), CITRONELLOL, GERANIOL, LINALOOL, CHONDRUS CRISPUS (CARRAGEENAN), LECITHIN, XANTHAN GUM, TOCOPHEROL, DEHYDROACETIC ACID, PHENOXYETHANOL, LACTIC ACID, POTASSIUM SORBATE, [ /- MAY CONTAIN: CARAMEL, MICA, CI 77891 (TITANIUM DIOXIDE), CI 77491 (IRON OXIDE), SILICA].